Looking for simple ways to strengthen your Pinterest presence? Wondering how to enhance your Pinterest content? A few easy-to-implement changes can greatly increase the visibility, engagement, and sales generated by your pins. In this article, you’ll discover three ways to improve your Pinterest boards and pins. How to Improve Your Pinterest Visibility and Engagement by Mitt Ray on Social Media Examiner. On a web page, have you ever noticed text appearing in place of an image? This text appears when your cursor hovers over the image, too. The technical name is image alternative text (or alt text). Many website images don’t include alt text or don’t optimize this text, even though doing so can benefit your social marketing on Pinterest. Optimize your images for Pinterest by adding image alternative text. When someone pins an image from your website, the alt text becomes the pin description. By adding alt text to images, you ensure the image automatically has a good description that will help drive engagement and clicks. 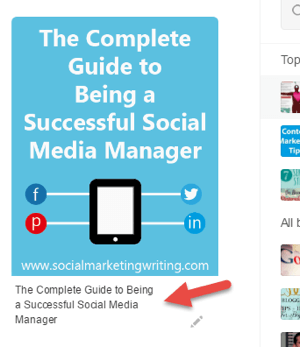 For example, when you pin this image that appears on a blog post, the text you see in the pin description is the same as the image alt text. Your image alternative text will become the pin description. Alt text can also help your image rank well in Pinterest search results. On Pinterest, people do 2 billion searches every month. The pins that appear in the top results will reap the benefits through repins and clicks. Pins that do well in search results have two things in common: keywords and repins. Say you do a Pinterest search for bedroom design. 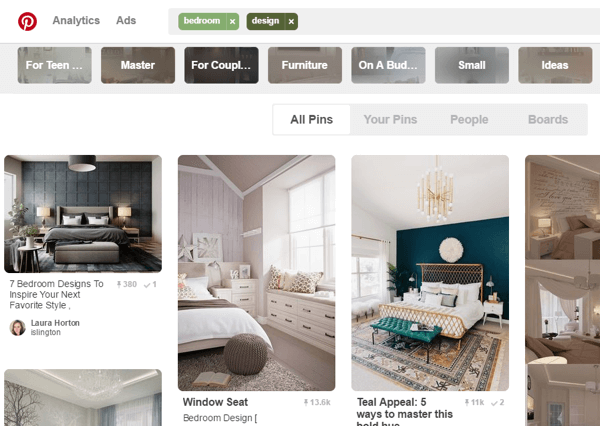 In the search results, the top images have received lots of pins and the pin descriptions include the keywords “bedroom design,” “bedroom,” or “design.” Some results also have keywords in places like the comments, the rich pin headline, and so on. The top appearing pins on Pinterest have both repins and keywords. The upshot is that when you add alt text to images, keywords for the pin description improve your images’ search performance. So if your image appears on a blog post about bedroom design, add this keyword to the image’s alternative text. 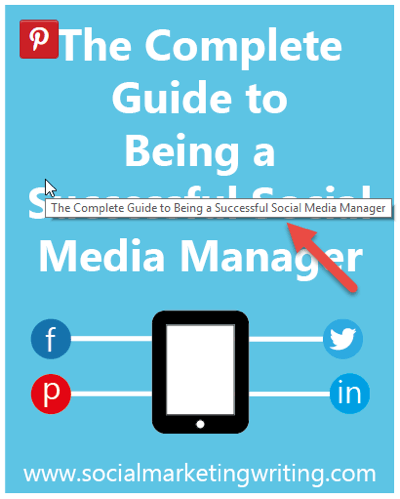 If someone pins the image and it receives a lot of repins, ….